Part of the KORE M-Street Collection, if you are looking to slip into comfort and style then look to the Nunn Bush Myles Street Moc Toe Slip On. This classic moc toe has plenty of modern touches both inside and out. 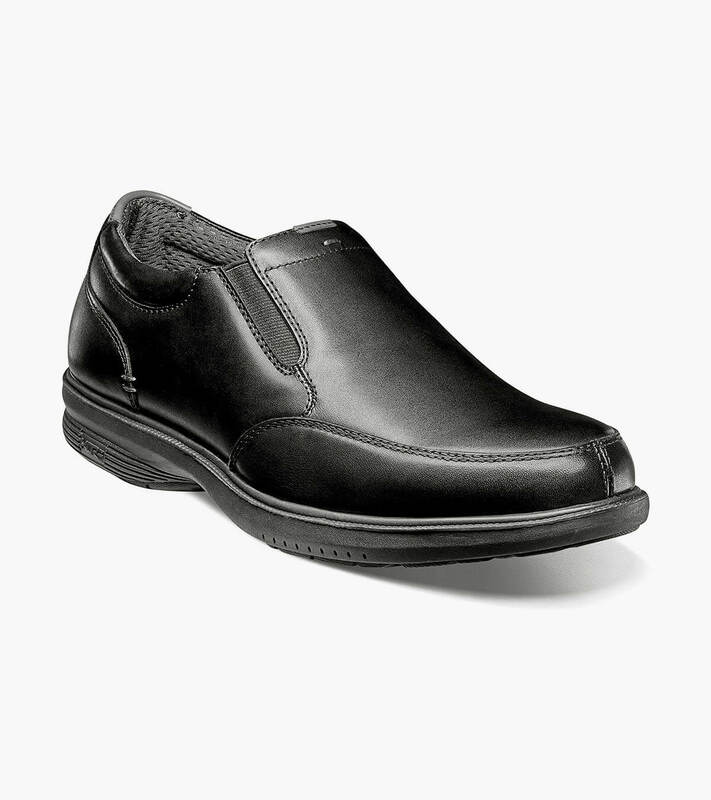 Featuring a cool wedge style sole, it also has the comfort of a Comfort Gel heel pad and a molded EVA footbed, plus a slip-resistant sole with a rolling impact zone heel that makes for more comfortable walking.